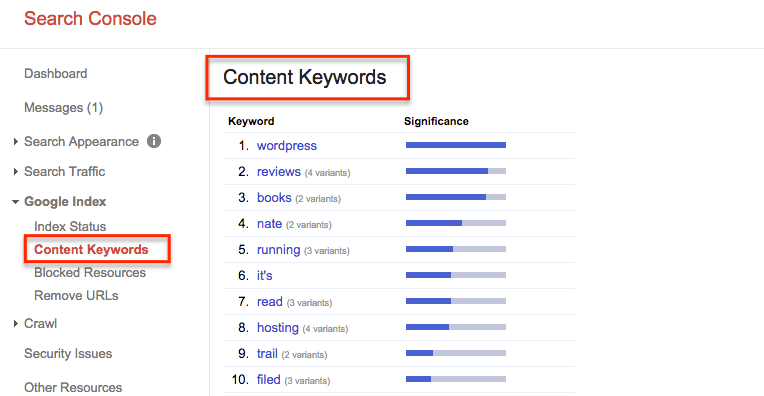 Remember this “Content Keywords” tab in Search Console? Well Google just dropped. And there really might be some drawback for all the SEO Analysts out there. Why They Say They Dropped It? Well they say nothing. They just one day removed it from Search Console without any prior intimation about when or if they would do it. The reason you will find for it all over the internet would be that it is depreciated. It sure was one of the oldest statistic on Search Console. It actually belongs to the time when “Google Search Console” was called “Google Webmasters Tools”. In fact at some time “Content Keywords” used to be the only statistic that would let people know both, how Google viewed and how Google analysed your website data. But now we have “Fetch & Render” to know how Google views the website. And Search and analytics to know how Google analysed the data. The answer is simple. They did it for the same reason that they do most of the changes in their algorithms. To stop black hat SEO. Isn’t it obvious. This tool though without any doubt was useful for all the good guys out there but it sure could be misused. Or to better say it could be used in ways that Google would not want us to use it. Why Did They Remove It Without Prior Intimation? You must remember that you could actually download the whole list of your “Content Keywords” in the form of a CSV file. They removed it without prior intimation because they did not want to let us download the whole downloadable list of “Content Keywords” before they removed it. They of course knew everyone would all want to download and safe keep the list of keywords with all other parameters for one last time. What Have We Lost With It? Not much. 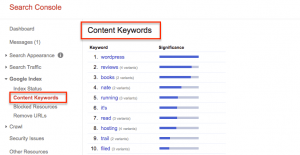 We now have to use third party websites to analyse content keywords. And there are still ways of knowing the response of google for some content by analyzing your ranking updates and user response. So What Do We Gain? If Anything? There definitely is something to gain from it. We now have a world with more genuine search results. SEO analysts now have a more challenging job ahead of them. An challenges are always good, if you think that way. And content writers now will have to write more genuine content, which will make searching on internet more meaningful. Every new change that Google brings into their algorithm just strengthens the requirement SEO analysts. There never will be a change in google algorithm that could be an SEO killer. The existence of Google’s official blog by Matt Cutts itself justifies SEO as a job profile. Google has accepted the existence of white hat SEO analysts. Its just the black hat one’s that need to worry about Google algorithm changes.